A Most Curious Wedding Fair Blog: Most Curious welcomes our 2016 beauty sponsors THE WEDDING HAIR COMPANY! Most Curious welcomes our 2016 beauty sponsors THE WEDDING HAIR COMPANY! More exciting news from Most Curious HQ, as we reveal that award winning The Wedding Hair Company is joining Most Curious as our Hair & Make-Up Sponsor for 2016! Their stylists create the hair and make up looks that shape the world of fashion, music and advertising, the styles we see in the magazines we love and the programmes we watch! They are experts in current trends, products and techniques - so brides can be completely confident they will look and feel absolutely perfect on their wedding day! 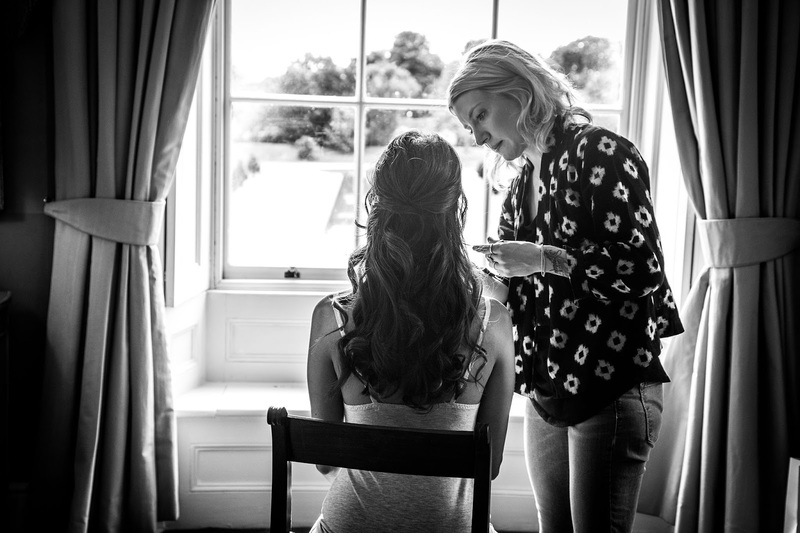 Hair and make-up expert Emily Kent, director of The Wedding Hair Company, manages a niche team of specialist artists and, as you would expect of a Most Curious sponsor, offers creative hair styling and a rule breaking approach to the bridal market! So Emily, please talk us through a typical day in your life. For me as the owner of the company, my days vary a lot! If I am in London working this is usually with brides or other clients where I am actually doing hair and make-up. I could also be having meetings or catch ups with our stylists, bloggers etc etc. If I am working from home, I will actually be running the company so this is what I call my 'wedmin'. Phone calls, emails, blogging, social media, accounts....I do it all, but that's the way I like it! I am also a headpiece designer, so that flow of working with real brides, coming up with hair styles and then creating pieces to go in them is another part of my work but also something that I see as part of my recreational time in a way. I can never take my eyes off The Lane or Hello May Magazine, they are both a big source of inspiration and also comfort that brides are cool and that they are looking for those cool suppliers to help bring their visions to life. It makes me feel like the industry as a whole has this entire new arm to it, dedicated to tasteful, chic, relaxed and underdone weddings and I really enjoy finding like minded suppliers and clients and them all coming together. When I started The Wedding Hair Company over 4 years ago now, which really isn't that long ago, wedding beauty was quite a scary thing I think. There was always a fear for clients that crispy curls and overdone make up was the only option if you went to a wedding specialist. I was really busy at the time with my own clients so I thought I should make it into something more proper. When the first thing that 99.9% of our first few clients would say in their initial email enquiry is....THANK GOD I'VE FOUND YOU... I felt like I was definitely portraying the right image with the brand I had created and the portfolio of work I had. From it starting out with just myself, fellow artists who I worked with in tv, fashion, music etc joined in and then it grew from there, we now have 20 artists on our books, some of whom have been trained by myself. Wedding hair/make up should be EXACTLY what the client wants, and that's the thing....there is no wrong or right, so its absolutely great that over the last few years more and more companies like mine have sprung up catering for many different brides. If the client is over the moon, feels good and confident then job done. I really enjoy the way weddings are going now, more so than ever there is a feeling that 'anything goes' and we like to embody that as much as possible in our work - there isn't a rule book that says 'a bride can't have a ponytail for her wedding' or 'she has to wear a veil' ....she can do what the heck she wants actually! Ah Emily, we think we love you. That is EXACTLY how it should be and Most Curious brides are definitely up for breaking a few rules! And if you feel like making up your own wedding rules then the first place to start is on our ticket page - get your tickets here now ladies and gents, and come and get curious at our 2016 show! Thank you for sharing, an interesting article from the experience. Maybe it will come in handy. I recently got married, and hairstyles for a wedding theme is not interesting for me, I have used their services http://elstile.com/. Good guys, I liked their work. Maybe someone it is useful. Get your party started with DORIS LOVES!